Lisa Hendrix is a paranormal historical romance author. But classifies this series as viking historical romance to a paranormal romance with psychics and demons to a time travel romance. So you make the decision as you read it!!! She only has this one book series available. Her stories are intriguing and captivating while being filled with lots of historical detail to pull you into the centuries old novels. While her love scenes fit with the storyline, they are quite detailed. She has outstanding characters involved in an age old war against evil in scenes filled with imagery and imagination that makes you fall in love with these men that were cursed. The Immortal Brotherhood Series is about nine men that were cursed by an ancient sorceress that cursed them to spend eternity as shadow beasts, living half as animal, half as a man. Now while each story does follow the other, these books are only connected with the characters. Each story follows the one before but the stories are based centuries apart. Book 1 is in 1095AD. Book 2 is in 1290AD. Book 3 is in 1408AD with book 4 is in 1583AD. Each story is a historical story, but with characters that have paranormal abilities. So that is why this a paranormal historical romance!! This Viking crew was cursed by Cwen, a evil sorceress. There were nine men in the crew and each was cursed with the ability to transform into their fylgja, their guardian spirit, every dawn and every dusk. She also made the men immortal so their suffering would go on forever. Some turned to be beast by day and some by night. Cwen created an amulet of their fylfja and scattered them throughout the land. Each of the warriors must find their amulet in order to be able to break the curse. They also need to find the one woman who will love them for who they are and who they are trying to be. There are nine men who make up this viking crew. And they were each cursed a little differently. For example, Brand who turns into a bear, doesn't remember anything while he's a bear. He's only able to witness the bear's destruction when he's a man again. This causes heartache for Brand. Now each book can be read on its own as the books are only connected by the characters and the details that they find out about Cwen, the evil sorceress. Some of the characters play a role in each story but not all of them in each book. And you get to know them and who they are and what they have to go through. So we are also not introduced to all the of them right at the beginning, or even the third. You don't see about Rorik or Kjell until book 4. So while this is so far a 4-book series, there has to be more coming so then we can find out what happens to all the men and if the curse is finally able to be broken completely and the evil Cwen is finally destroyed. Book 1 was published in 2008, book 2 in 2009, book 3 in 2011 and finally book 4 in 2016. 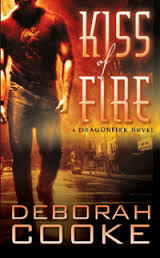 I hope that it won't be another five years to get the next book in the series. However, Lisa Hendrix's site doesn't give any indication when the rest of the series will be coming. 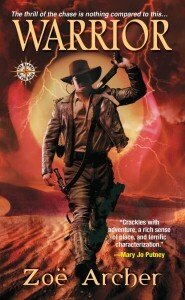 So as of 2018, there are only four books in this series. There's Ivar Graycloak. He transforms into an eagle by day. Stiennar the Proud is a lion by night. Gunner the Red turns into a bull by day. Torvald son of Hroaldr, turns into a stallion by day. Jafri turns into a wolf each evening. Kjell is a stag (hart) by day. And Rorik is a dog by night. Ari turns into a raven by night and has the foresight and helps most of them in their quest. So far he's been each of the books. Brand Einarrson turns into a vicious bear every dawn. He's also the captain of this motley crew! 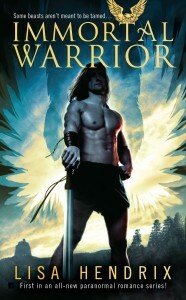 So book 1, Immortal Warrior, is about Ivar and Lady Alaida. Lady Alaida chooses to love Ivar even when she knows that he turns into an eagle. 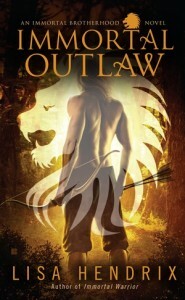 Book 2, Immortal Outlaw, is about Steinarr and Marion. This is a fun spin off of the Robinhood and Marion story where they are on a quest to find treasure. 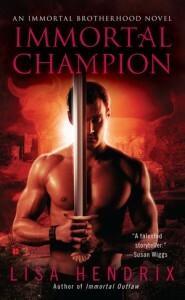 Book 3, Immortal Champion, is about Gunnar and Lady Eleanor de Neville. Through a lot of political intrigue and drama, it takes a bit for Gunner to finally be able to make him Eleanor's forever champion! 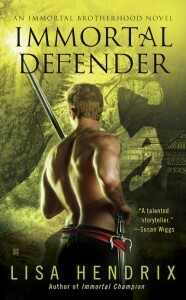 Book 4, Immortal Defender, is where Torvald defends Josian Delamere from the men who want her family dead and then must convince her that he's not the demon that she thinks he is. 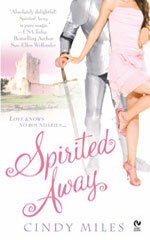 An enchanting story about loving whose right in front of you! Someday there will be more books to this series, but for now, check out the #bookdetails for these four books! Enjoy! !